The hybrid clinical waste bins offer the best of both worlds by combining metal and polyethylene components to give you a fire retardant and rust free sack holder. The polyethylene foot unit features integrated castors to help you move and position the sack holder and a leak proof tray catches any spills from punctured sacks. The sack holder can be placed against walls without the worry of marking as the foot unit is constructed from durable non marking polyethylene. The removable body is manufactured from Plastisol and lifts out completely to allow easy cleaning. 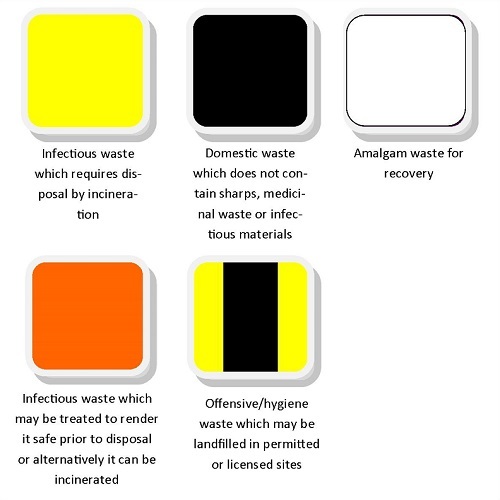 Lid Colours: Yellow, Yellow/Black, Black, Orange or White (see image).